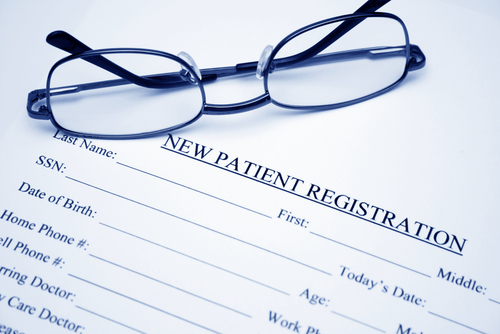 If you are not currently a patient at this practice and you wish to register with any of our Doctors, all you have to do is call in at the surgery. Our Receptionists will give you a form and a health questionnaire to complete; please bring with you your Medical Card if you have one and two forms of identification; one should be photo ID such as a passport or driving licence and the other should be recent proof of your home address, such as a utility or mobile phone bill under three months old. You should also bring a urine sample. Sometimes our list is full. If this happens you will not be able to register with us but our receptionists will tell you what to do next. If you wish to pre-register click on the link below to open the form. When you have completed all of the details, click on the "Send" button to mail your form to us. When you visit the surgery for the first time you will be asked to sign the form to confirm that the details are correct. Please note that you will not be registered at this practice until you produce the necessary ID documentation as mentioned above. Alternatively you may print off a registration form, fill it out and bring it in with you on your first visit to the practice. Please note that you will not be registered at this practice until you produce the necessary ID documentation as mentioned above.